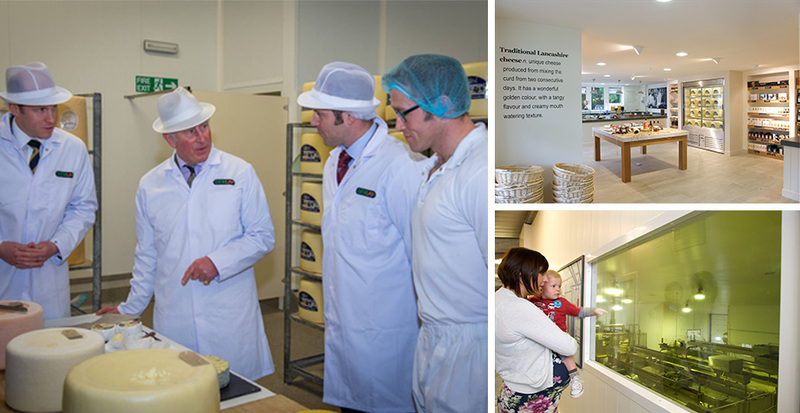 A visit to our Cheese Shop and gallery is not to be missed. From Crumbly to Creamy or Blue to Chilli cheese, we will have a cheese for you. Cut from our deli counter or from our grab and go fridge our staff are on hand to give you expert advice whether you need to wow with a perfect cheeseboard, need inspiration for a gift or advice on the best cheese for cooking with. Alongside our award-winning cheeses, The Cheese Shop also houses a range of carefully sourced accompaniments; including chutney’s and jams from Bashall Barn, Hawkshead Relish and Pennine Way Preserves, crackers from Peter’s Yard and the Fine Cheese Company, Salami from Yorkshire’s Three Little Pigs and a range of beers, ciders and wines.